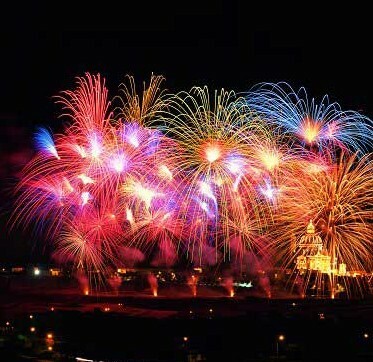 Happy 100th Blog — The Non-Consumer Advocate! Today marks the 100th blog entry on The Non-Consumer Advocate. So in the tradition of television, it’s time for a show of flashbacks. A best of, if you will. I remember it as if it were yesterday. . .
I’ve Got A Major Hang-Up, And It’s Not Going Away! Coin Girl To The Rescue! The Story Of Stuff – You’ve Gotta Watch This Wonderful Video! Calling All Spendthrifts: Keep It Up! 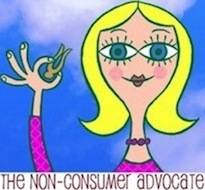 Welcome to the Non-Consumer Advocate! Okay, maybe I should have had someone else choose the best of, (as I seem to have picked 13 — my lucky number). Thank you to all my readers. I welcome all voices, even the dissenting ones. happy 100th! I just started reading your blog, and I’m glad I’ve found it! I found your blog through the Tea Towel Recipe post and now have a subscription (highly recommended). Your posts brighten my day and inspire me at work. Thank you, and congratuations on 100! Congratulations, Katy! You’ve got a winning combination here: a timely and intriguing topic, humor, a personal touch, consistency, and great writing. Well-done! Congratulations! I’m impressed with how frequently you update your blog and much you give to it. It’s well written and pretty inspiring. Thank you! !